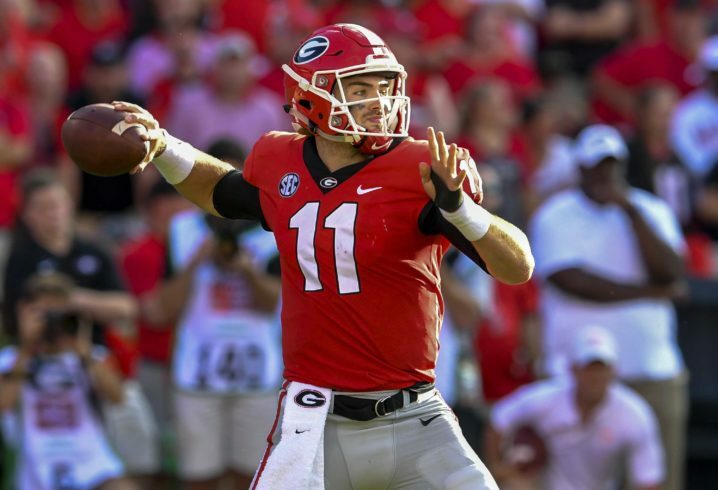 Georgia QB Jake Fromm didn’t do much against Kentucky, completing 14 of his 20 passes for 113 yards and a touchdown. 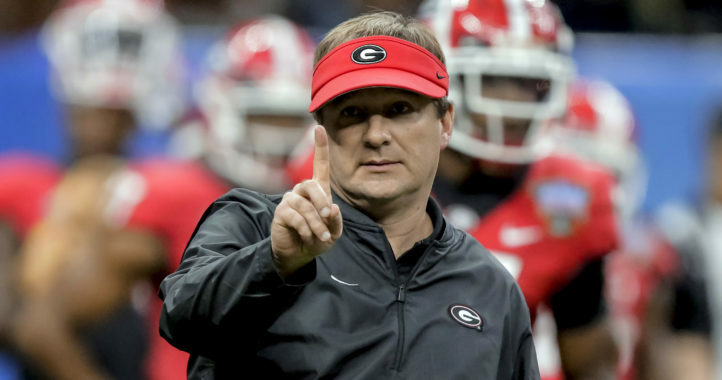 However, he didn’t need to do much, as the Dawgs ran for 331 yards and three touchdowns in their SEC East-clinching 34-17 victory. QB Jake Fromm has a leg bruise from a hit in Kentucky game. Kirby Smart: "He's fine. 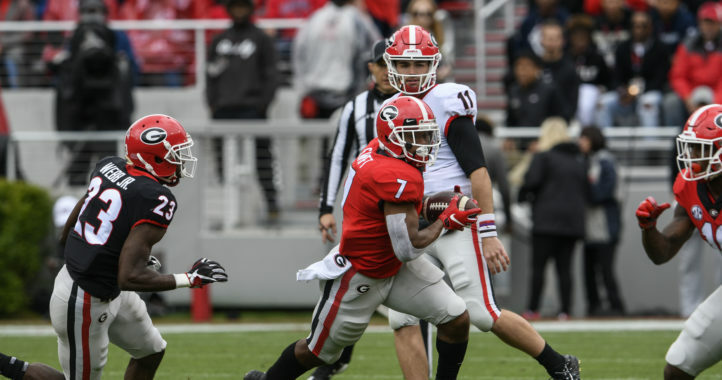 He's taking all his reps."
That’s good news for Georgia, who needs Fromm at full-strength to keep the offense humming along down the stretch. The Bulldogs take on Auburn this weekend before ending the year with games against UMass and Georgia Tech.